What is your strategy? At first thought, we might think of all of the reports, both online and on paper, that are available to families indicating the learning goals for their child’s grade level. Yet, as educators, we often forget how technical and specialized our school language actually is! Phonological awareness, one-to-one correspondence, emotional and behavioral self-regulation, cardinality, executive functioning, rime, etc. Every field has its own special vocabulary. You might understand very few of the words that your mechanic uses when explaining some concerns you have about your car and yet, your mechanic probably doesn’t expect you to go home and continue tinkering on the car yourself based on those issues that he or she was explaining! Do we mistakenly overlook the hurdle of unknown words and concepts when we ask families to support their child’s learning at home? Dr. Mapp uses the word “familiar” to describe families’ level of understanding of the schools learning and developmental goals and outcomes. How DO we get to this familiarity? 1. We are intentional about how we communicate the language of school. From the very beginning, one of ReadyRosie’s core goals was to build a common understanding of the language of school. Our PreK videos include “Word Bank Words” and highlight specific vocabulary that caregivers can introduce and practice in meaningful contexts. The ReadyBaby and Elementary videos each include short intro or outro statements that define the learning that occurred in the video and briefly explain the rationale. Additionally, every ReadyRosie Modeled Moment video lives on a landing page that provides more in-depth detail as to the “Why It’s Important” of each video. All text included with videos and on landing pages has been intentionally written at a reading level that is respectful of caregivers with a variety of academic backgrounds themselves. 2. We provide families and educators with a new lens to see the learning opportunities available within everyday family interactions. 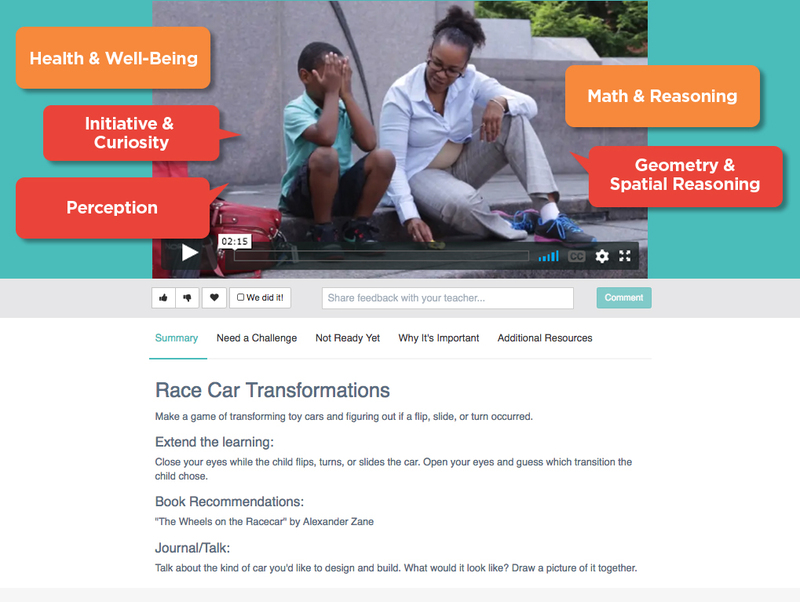 Beginning this school year, every ReadyRosie Modeled Moment video is now tagged within our Share system to 2-4 “Learning Outcome” categories in the content areas of Health and Well-Being, Social-Emotional Learning, Language and Literacy, and Math and Reasoning. This tagging alignment was created by a very thorough review of the Head Start Early Learning Outcomes Framework, Common Core State Standards, state-specific academic standards or guidelines, and the Collaborative for Academic, Social, and Emotional Learning (CASEL) competencies. How can a family build background on this concept and/or share the assets they already have with the child’s teacher? How can a family provide ongoing practice with this skill or concept? How can a family apply this skill or concept with a real-world conversation? In short, the opportunities are everywhere and we are excited to be able to provide this new lens on learning as a tool to help families and schools work more easily together to close the opportunity gap. 3. We equip centers and schools to plan their long-term strategy for Family Engagement based on learning goals and outcomes. Curriculum Maps - Our simple and easy-to-use curriculum maps are organized by the Content Areas and Learning Outcome categories described above. The structure of each map is the same for all age-groups to support your vertical team planning. Encourage your educators to use these maps to integrate ReadyRosie Modeled Moments and Research and Answers videos into their district or agency scope and sequence. Customized Playlists - Our playlist editor allows teachers to filter videos by learning outcome and age group. 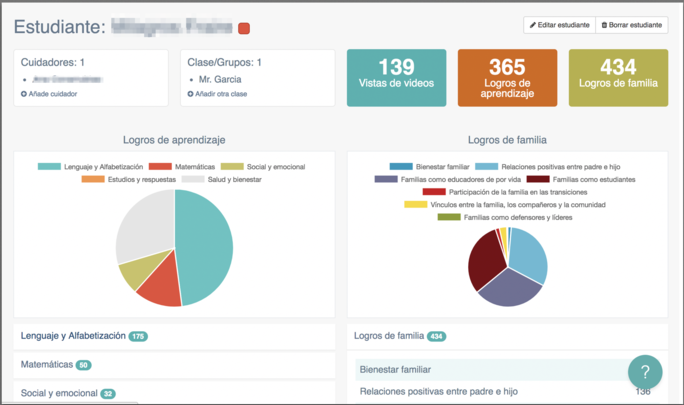 Encourage teachers to use ReadyRosie Share as their communication tool with families and to select 2-3 videos a week that support their learning goals and outcomes. Parent-Teacher Conference Resources - Our new Parent-Teacher conference resources enable you to use the revised caregiver and student data views to help families understand the impact they are making on their children’s learning by viewing and commenting on the videos they receive. Family Event Guides - Our updated Family Event Guides are organized by these same Content Areas and Learning Outcomes. We have identified specific activities that are especially powerful to enable families to try out some ReadyRosie Modeled Moments at one of your family events. And yes, we are already anticipating your next request: REPORTS! Coming soon, you will be able to create printable reports at the administrator, teacher, and caregiver level to document how you are intentionally connecting with families around their children’s learning journey. Begin your strategy TODAY to familiarize families with your learning goals and outcomes! Have questions or want to discuss your strategy? Our implementation team would love to think it through with you! Contact us at info@readyrosie.com.